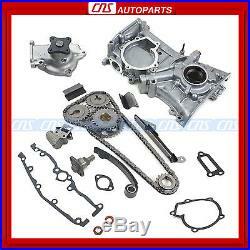 For Nissan 1.6L GA16DE Timing Cover Chain Kit Water Oil Pump Sentra 200SX NX1600. 91 - 99 NISSAN GA16DE. 1.6L (1597cc) DOHC L4 (16 Valve). "NEW" Timing Chain Set + Water Pump + Timing Cover Oil Pump. 95 - 98 NISSAN 200SX 1.6L DOHC L4 16V, "GA16DE". 91 - 93 NISSAN NX1600 1.6L DOHC L4 16V, "GA16DE". 91 - 99 NISSAN SENTRA 1.6L DOHC L4 16V, "GA16DE". 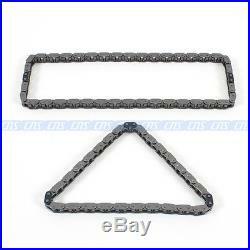 1 TIMING CHAIN (UPPER IDLER TO CAMS). 1 TIMING CHAIN (LOWER CRANK TO IDLER). 1 TENSIONER (UPPER IDLER TO CAMS). 1 TENSIONER (LOWER CRANK TO IDLER). 1 GUIDE RAIL (LOWER STRAIGHT-NEW DESIGN). 1 GUIDE RAIL (LOWER CURVED-RIGHT). 1 CAM SPROCKET (EXHAUST 25 TEETH). 1 CRANK SPROCKET (18 TEETH). 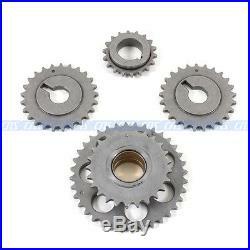 1 IDLER SPROCKET (36 & 25 TEETH). 2 IDLER SHAFT (SPROCKET SUPPORT SHAFT). 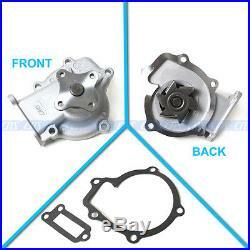 1 WATER PUMP w/ GASKET. 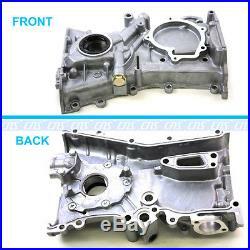 1 TIMING COVER OIL PUMP W/ RUBBER SEAL. THIS SET IS FOR A VARIABLE VALVE TIMING ENGINE. VVT INTAKE CAM SPROCKET NOT INCLUDED - NOT PICTURED. THE TEAM ARE HAPPY TO HELP. UPS Ground Service / UPS 3 Day Select / UPS 2. Day Service / UPS Next Day Service - Domestic. UPS Worldwide Expedited - International. 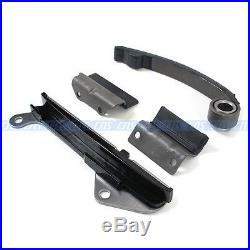 CNS Autoparts strives to provide 5-star customer service. There are no exemptions and guarantees the quality of the components you receive. We firmly believe our parts are free from any defects in workmanship, material and that all manufacturing is processed under a strict quality control environment. Absolutely no exchanges will be made for any products that has been damaged, misused or improperly installed. We highly recommend that a licensed professional bear the responsibility of proper installation. Our goal is to provide our customers with the best products at the best price without compromising quality. We have been operating an engine business for over 20 years. 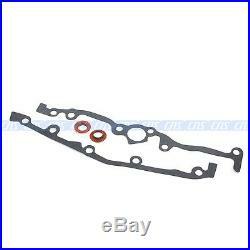 We specialize in engine gaskets and engine rebuilding kits. All of our gaskets are specially made to meet or exceed OEM standards and performance requirements. We hope to continue to grow domestically and expand internationally. We will do everything we can in order to build your trust and business. PART NUMBER: TK10080WPOP 91 - 99 NISSAN GA16DE 1.6L (1597cc) DOHC L4 (16 Valve) "NEW" Timing Chain Set + Water Pump + Timing Cover Oil Pump Application 95 - 98 NISSAN 200SX 1.6L DOHC L4 16V, "GA16DE" 91 - 93 NISSAN NX1600 1.6L DOHC L4 16V, "GA16DE" 91 - 99 NISSAN SENTRA 1.6L DOHC L4 16V, "GA16DE" Package includes ---1 TIMING CHAIN (UPPER IDLER TO CAMS) ---1 TIMING CHAIN (LOWER CRANK TO IDLER) ---1 TENSIONER (UPPER IDLER TO CAMS) ---1 TENSIONER (LOWER CRANK TO IDLER) ---1 TENSIONER GASKET ---1 GUIDE RAIL (LOWER STRAIGHT-NEW DESIGN) ---1 GUIDE RAIL (LOWER CURVED-RIGHT) ---1 CAM SPROCKET (EXHAUST 25 TEETH) ---1 CRANK SPROCKET (18 TEETH) ---1 IDLER SPROCKET (36 & 25 TEETH) ---2 IDLER SHAFT (SPROCKET SUPPORT SHAFT) ---2 GASKETS ---2 O RINGS ---1 WATER PUMP w/ GASKET ---1 TIMING COVER OIL PUMP W/ RUBBER SEAL Special features ---THIS SET IS FOR A VARIABLE VALVE TIMING ENGINE. 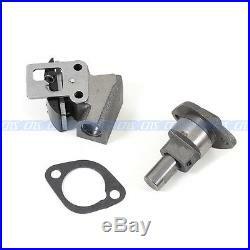 The item "For Nissan 1.6L GA16DE Timing Cover Chain Kit Water Oil Pump Sentra 200SX NX1600" is in sale since Tuesday, February 04, 2014.